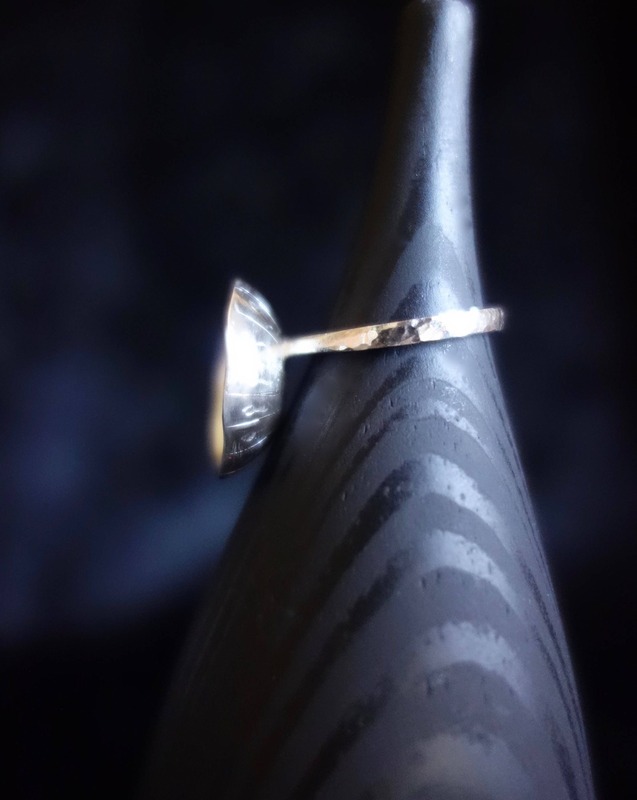 Floral ring, sterling silver. For women. 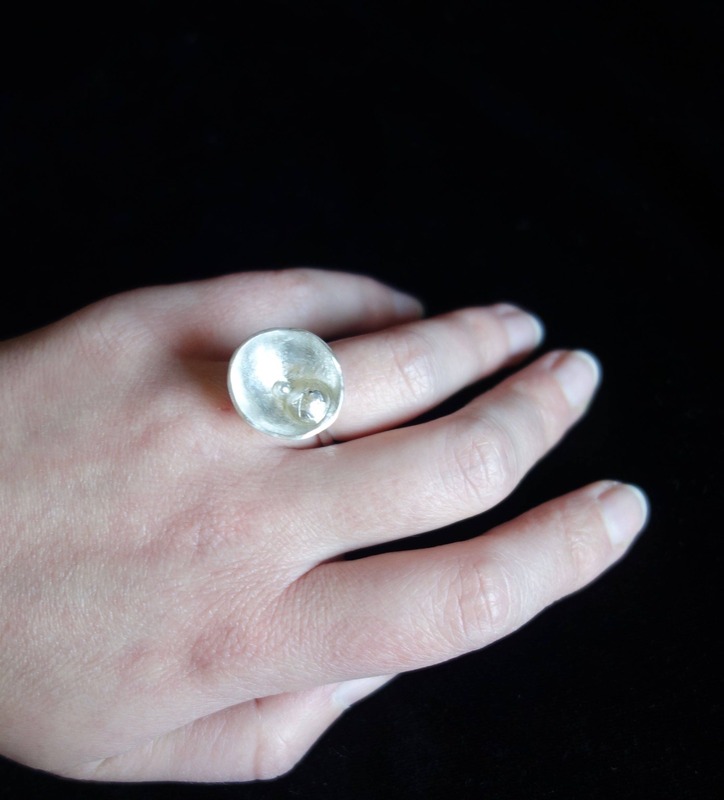 Ring in silver 950/1000 titled "Floral", made entirely by hand. It was inspired from the floral world. 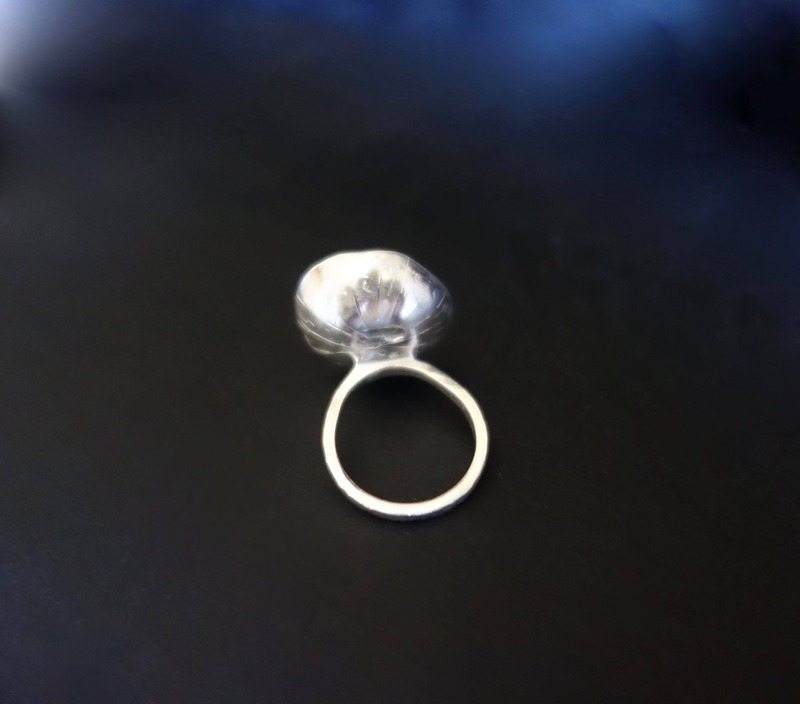 Corolla shape reminiscent of some flowers, it is topped with a silver bead. 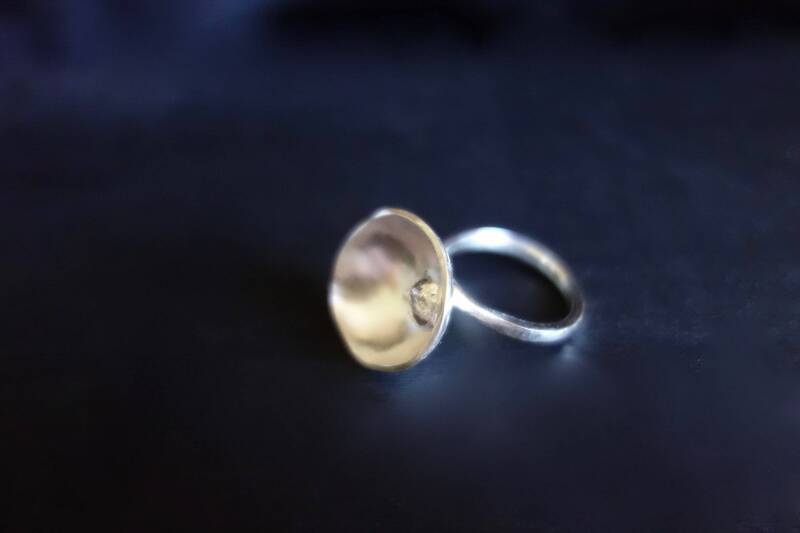 The ring is engraved on the inside of the Corolla and outside. The body of the ring is hammered. The corolla is asymmetrical to enhance the originality of the product and the natural look. Size 51. Unique piece. 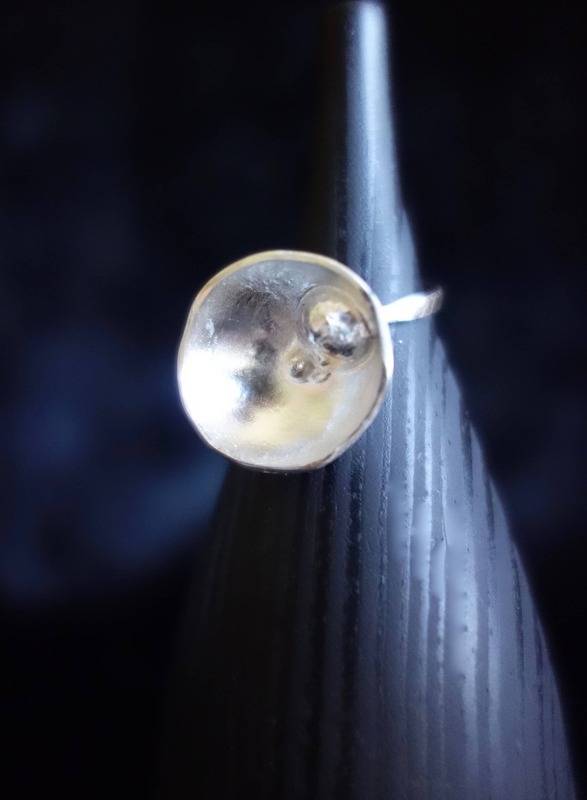 Artisan jeweler, this ring was made in my Studio and marked with my hallmark. It will be shipped in a box for ring.